Unlike traditional sailboats -- where the sails are moved around the mast to catch the breeze -- the sails on this 257-foot superyacht are fixed, and the entire mast rotates to capture the wind. In addition to this groundbreaking technology, the yacht is said to have beautiful lines and all-around superb construction. 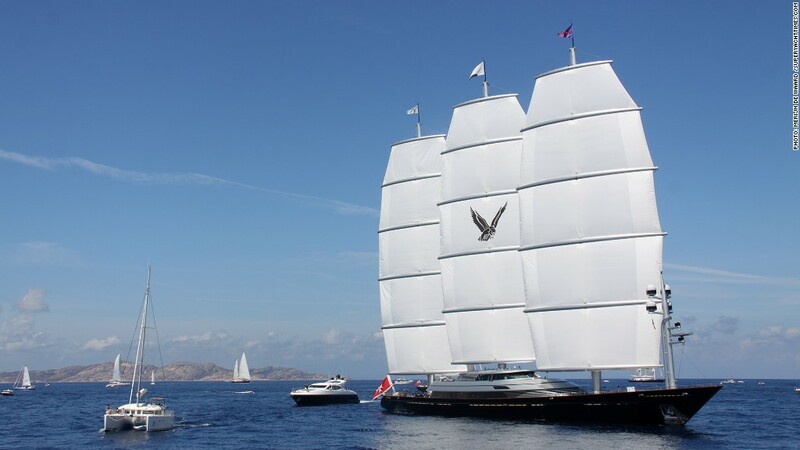 The Falcon was built in 2006, "but still captures the imagination today," said Paul Ashton, editor of SuperYacht World. Source: CNNMoney compiled this list with help from experts at Boat International, Superyachts.com, SuperYachtTimes, Superyacht World and The Superyacht Group. Cost and ownership data are from Wealth-X unless otherwise noted.